Exceptional weights on a very windy and wet day at Kingswood. The winner Less Thompson (photo 856) caught 26 lbs 6ozs mixed small fish on the Pole using caster and worm hook bait from peg 36. The two backing Weights were Dave Nichols (851) with 22 lbs 8ozs and Gary Johnson (846) 21 lbs 10ozs fishing the feeder using maggot and worm baits from Pegs 37 & 39 in the rushes. Best weight on the car park side was Kevin Tipton (no photo) on peg 13 with 17 lbs 11ozs again small mixed fish on the tip. 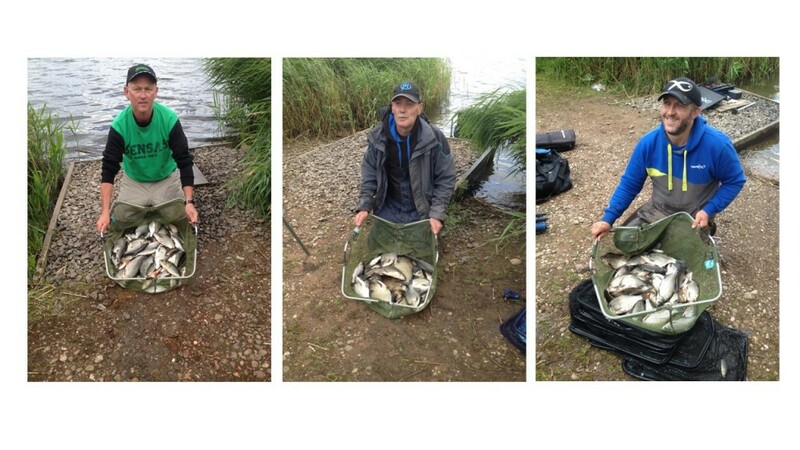 Most competitors had double figure bags of small skimmers and quality Roach.